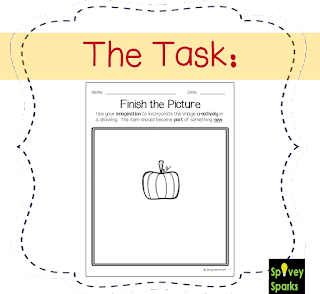 Fostering higher order thinking, while incorporating the arts is made possible with Finish the Picture tasks. 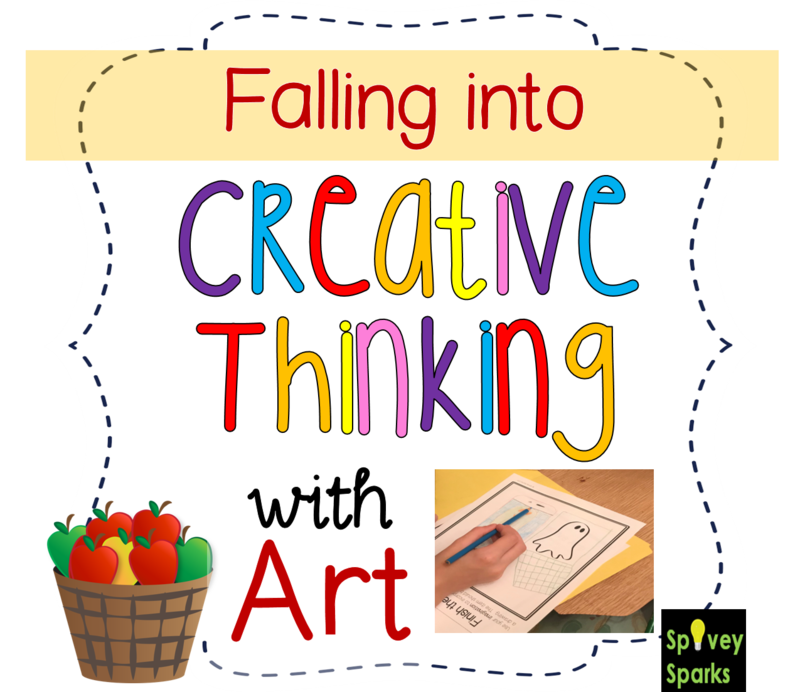 These artistic activities are perfect for early finishers, all levels of enrichment, and gifted students. They encourage student so think outside of the box to create artistic creations incorporating set graphics. 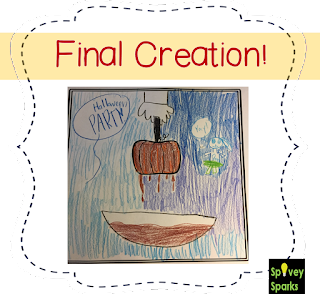 The best part is that they are straightforward, adaptable, and are EASY to make! 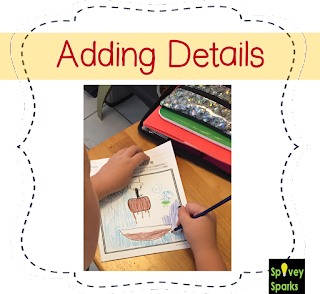 The premise is that you add a graphic to a page- seasonal or thematic objects work well! Students integrate the graphic into a picture, using the object as PART of creating something NEW. 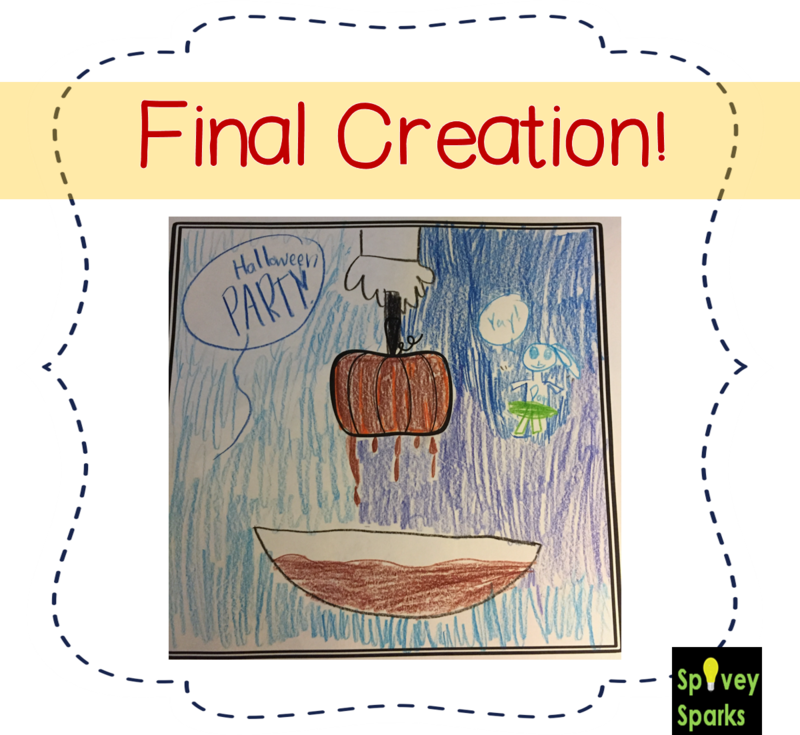 The same graphic can be completed by different students, for an array of artistic outcomes! The finished piece is a great addition to a student/gifted portfolio, hidden picture hall display, or thematic bulletin board. These Finish the Picture tasks were favorites of my Think Lab students (an enrichment class of students hopeful for gifted placement), and identified Gifted Resource students. 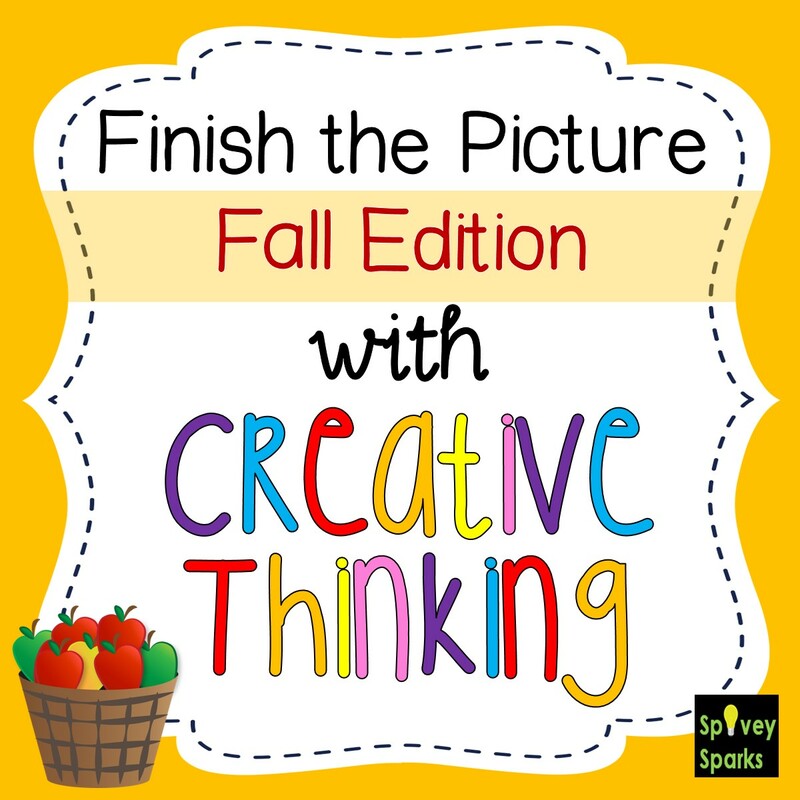 I wish I had incorporated this activity when I was in the general classroom, as it truly serves all students and challenges students to think creatively! If you're interested in checking out my Fall Finish the Picture set, check it out here on Spivey Sparks! I love this idea - great for early finishers or "just because." 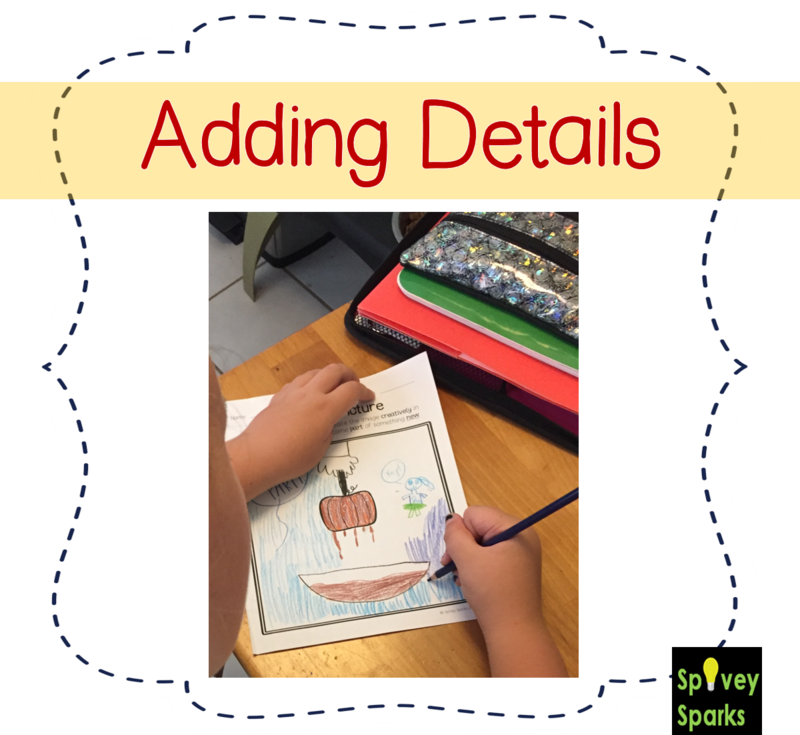 I include a doodle or a shape on my spelling tests so the kids can create a picture. When my daughter was in third grade, she said this was her favorite part of the year! 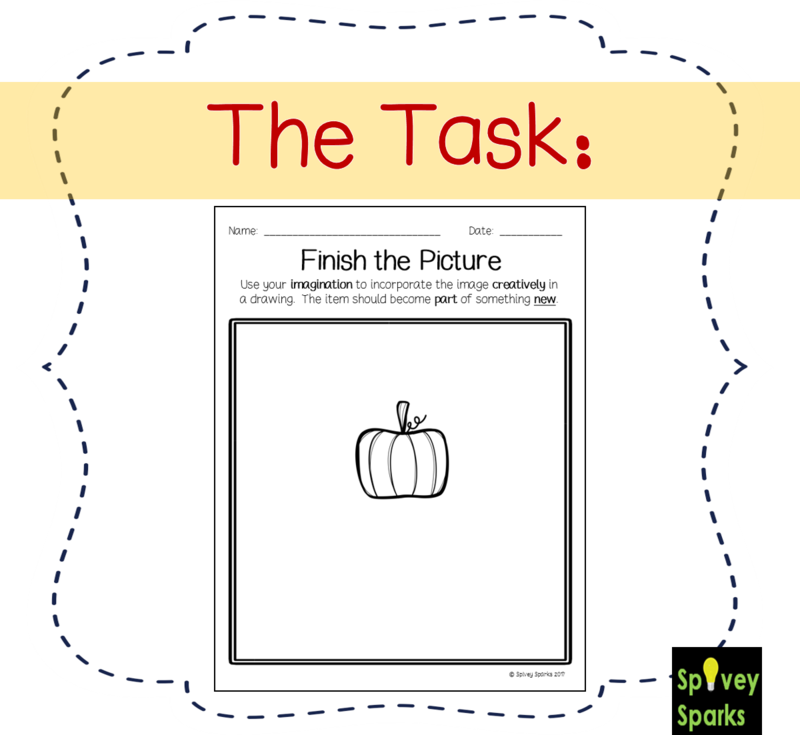 What a great idea to include a picture on a test for early finishers! I need to tuck that idea away, thanks!